T&S Window Screen Repair and Window Cleaning is the trusted source for professional and affordable window cleaning services in Orange County. We have thousands of satisfied clients, 25 years of experience, and excellent reviews on Yelp. We welcome window cleaning jobs of any size anywhere in Irvine, Yorba Linda, Huntington Beach, Anaheim Hills, Fullerton, and surrounding Orange County cities. As part of our window washing service, we clean both sides of all windows, wash all screens, and wipe down window frames and sills. 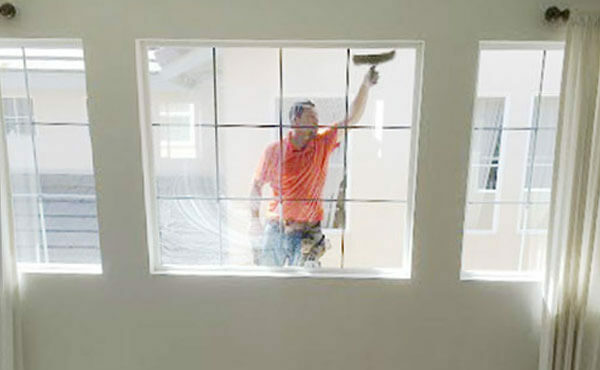 Our professionals have years of experience and always use commercial grade soaps and squeegees, ensuring that we leave every window spotless and streak free. With this cleaning process, we can also effectively remove grime, water spots, spray paint, and more. Screens are taken outside and washed with soap and water until all the dirt and filth is removed. We also clean the window tracks, which makes it easier for windows to slide back and forth. While we work, we take great care to not get dirt or water in your home or office: we put a towel down at the main entrance; wear shoe booties when walking inside; place towels under the windows so the drywall doesn't get wet; and place dirty screens on towels before carrying them outside. Once the windows and screens are dry, we'll put all of the screens back in place. Upon request, we can also replace or repair any damaged window screens while on site. To learn more about our very affordable window rescreening and screen repair services, click here. 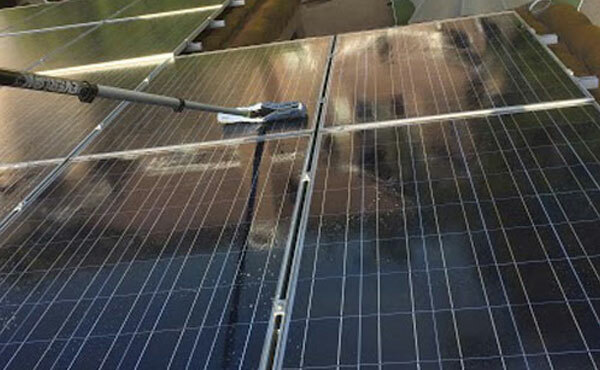 We also have more than a decade of experience cleaning solar panels. We use a special brush to remove any debris first, and then use commercial soap, water, and a squeegee to wash them. Since solar panels are made of glass, we take great care to not scratch them. Cleaning your solar panels regularly is a great way to maximize their energy output. Serving 1,000s of Satisfied Clients Throughout Orange County Since 1990. Call Today for Your Free Estimates. Call T&S Window Screen Repair and Window Cleaning today for fast, efficient, and exceptional window cleaning service in Yorba Linda, Irvine, Huntington Beach, Fullerton, Anaheim Hills, and other Orange County cities. We can clean wood frame windows, vinyl frame windows, French doors, bay windows, interior windows, and windows on multi-level buildings. For an additional price, we can also clean mirrors and shower glass/doors. We don't require a minimum number of windows for our service, and we offer all new customers a 5% discount on window cleaning. We're available Monday through Friday, from 7am to 5pm, and can usually accommodate same-day requests. T&S Window Screen Repair and Window Cleaning is licensed and insured, and proud to be incident free since 1990. 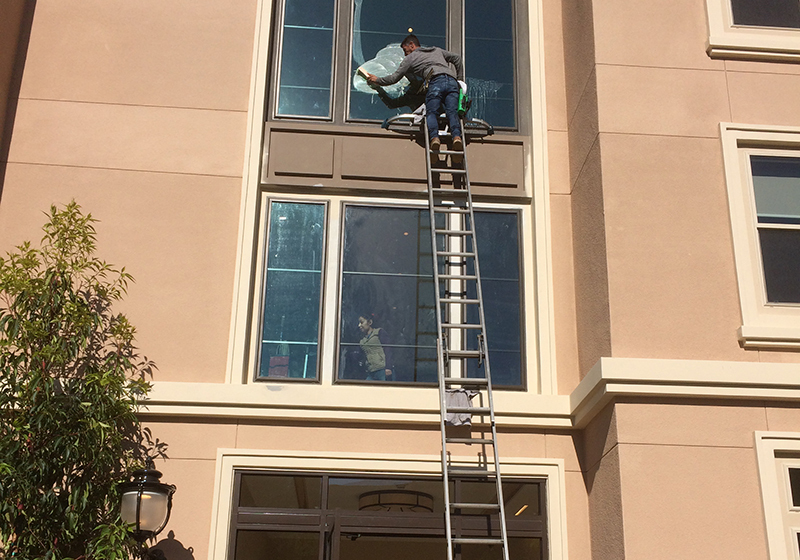 We completed this commercial window washing service in Newport Beach, CA. We cleaned all of the exterior windows for this multi-level apartment complex.